At this year’s I/O conference, Google announced their new services, products, and other projects. Most of the new apps are the developer’s updated versions of other products that are already on the market. This affirmation is true to all of them, except Google Spaces. 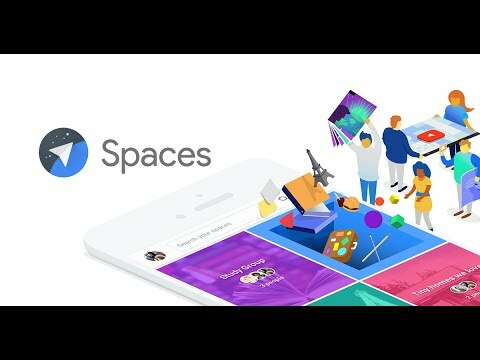 Another social networking app, Google Spaces is ingenious and gives the user an efficient control over conversations and messages. The feature that differentiates it from other social network services is the focus on personal space. Therefore, users do not feel compelled to devote more time than necessary in the online. Google designed it to be a place to share experiences. Therefore, the app can be used for book clubs, weekend trips, creating new friends, house hunts, and much more. Google Spaces seems to be the best place to share small projects. The app has an inbuilt Youtube, Chrome and Google Search that completely improve the user’s experience. A person can search and share information in a smooth manner, without having to switch apps. Another advantage of the app is that a user can have five or even more sites set on their page – which may prove to be useful at times. Every site is separated from the others. Only a single personal portal is available, but within it, a user can activate as many sites as they like. The most amazing fact is that the app does not even require a sign-up. Google already has a lot of social apps and social services that were offered to the public. Hangouts, Google+ and even YouTube have seemed to have covered all existing social situations and communication needs for the company. Users are overwhelmed with the number of apps developed for their social life. Another commentary was that the interface is unusual, and sometimes conversation threads were difficult to find. It remains to be seen if Google will take time in dealing with this issues. For the moment, the app is just in testing. Google Spaces is strictly connected to the Gmail account. The app is available for web, Android, and iOS users. Because it’s trying to bring forth an entirely new concept of social networking, Google Spaces may be considered difficult to use in the first trial. However, the company seems to have high hopes for its new project and will make sure to provide tips and tricks that will simplify things for their users and convince them of the new app’s advantages.